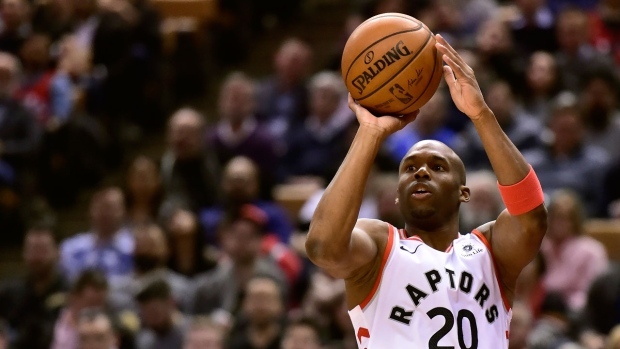 TORONTO - The Toronto Raptors have signed guard Jodie Meeks for the remainder of the season. The six-foot-four, 210-pound Meeks signed a 10-day contract with the Raptors on Feb. 20. He averaged 7.5 points, two rebounds and 12 minutes in two games, shooting 3-for-8 from the three-point line over that span. Before that contract, Meeks hadn't played since April 11 after the NBA suspended him 25 games for violating the league's anti-drug program, causing him to miss the Washington Wizards' first-round loss to Toronto in the 2017-18 post-season. He was dealt from the Wizards to Milwaukee before the 2018-19 season with 19 games remaining on his suspension, then was waived when the ban ended. A native of Nashville, Tennessee, Meeks has career averages of 9.3 points, 2.1 rebounds and 22.6 minutes in 533 games (204 starts) with Milwaukee, Philadelphia, LA Lakers, Detroit, Orlando, Washington and Toronto.